iDB is ready for Apple’s iPhone 6 event tomorrow, are you? Apple’s iPhone event is now less than a day away, and anticipation couldn’t be higher. Two redesigned iPhones with larger displays and NFC, a new mobile payment service, and the iWatch, Apple’s first major product unveiling since the iPad, are just a few things on the menu. Apple has said that it will be streaming the festivities to its website and various iOS devices, but for those who won’t be able to watch the keynote live, iDB has you covered. We will be here all day, providing coverage of all announcements made before, during and after the event. With less than 24 hours until Apple’s press event, security precautions at the Flint Center for the Performing Arts in Cupertino, California have been taken to “unprecedented levels,” reports Cult of Mac editor Leander Kahney who’s secretly snagged a few interviews with unnamed staffers at the venue. The iPhone maker is also ramping up anticipation for the upcoming presentation by forwarding visitors to the Apple.com homepage to a special webpage it set up last week to live-stream the show to the web at large. With just a little more than 24 hours to go until Apple’s major September 9 media event, an anonymous Reddit post on Monday shared half a dozen technical drawings seemingly revealing a plethora of iWatch parts while pointing at the device’s rectangular appearance, a round sensor plate at the bottom and other design features. While Reddit is not an accurate source of leaks, the detailed nature of the schematics (reposted on Imgur) should not be dismissed lightly even though we can’t vouch for the veracity of the images nor can we confidently say the device pictured is in fact Apple’s wearable gizmo. Ever since the introduction of the iPhone 5s, the Apple community has been looking forward to the iPhone 6 in hopes of receiving two much-wanted features – a larger screen and considerably longer battery life. These expectations, fed by countless rumors of everything from a built-in barometer to an NFC chip, are reaching an all-time high as the iPhone 6 is nearing launch. 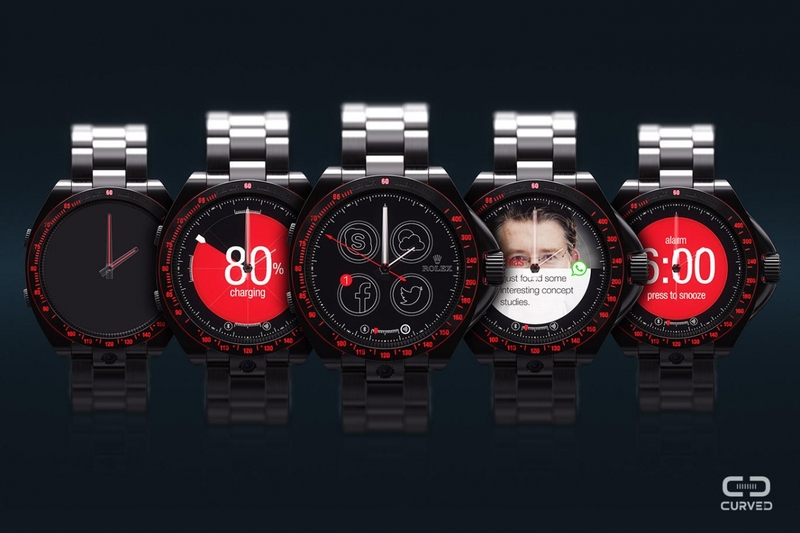 For quite a while now, rumors of an Apple-made wearable device – commonly referred to as “iWatch” – have been floating around, stirring excitement among Apple users and urging Android vendors such as Samsung and Motorola to introduce their own smartwatches. While these devices are largely limited to displaying notifications and dealing with minor tasks, Apple’s iWatch is rumored to focus heavily on health sensors and tracking. With Apple making official the predictions of a September 9 event, the world is breathlessly awaiting the unveiling of whatever Apple has been developing over the past few years. 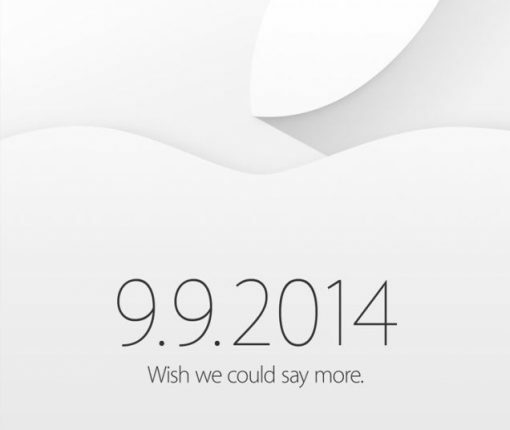 This event could very well be the biggest Apple has had since the 2007 introduction of the original iPhone. 9to5Mac’s Mark Gurman is out with a new scoop this evening regarding Apple’s incoming wearable. 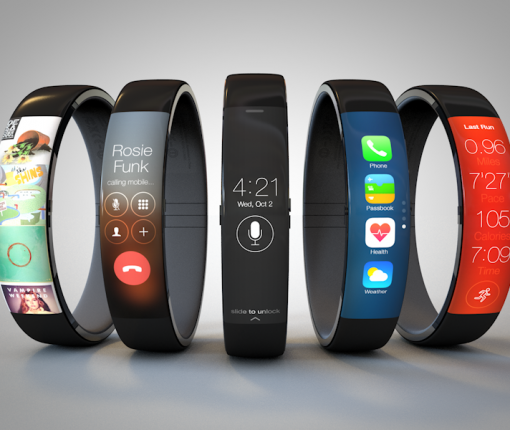 Citing sources familiar with the project, the well-connected blogger reports that the so-called iWatch will feature support for third-party applications. In fact, Gurman says that the device will come equipped with an App Store, and apparently a handful of developers have already received a pre-release of the SDK (developer tools). This group includes major social networks, and service companies. Apple has been sending invitations for its September 9 event to some of the top fashion editors and bloggers, Reuters reports this morning. This move, which is somewhat unusual for a tech company, reinforces the belief that not only Apple will unveil a new wearable device next week, but this device will most likely be fashionable, hence the company trying to get fashion editors on board. 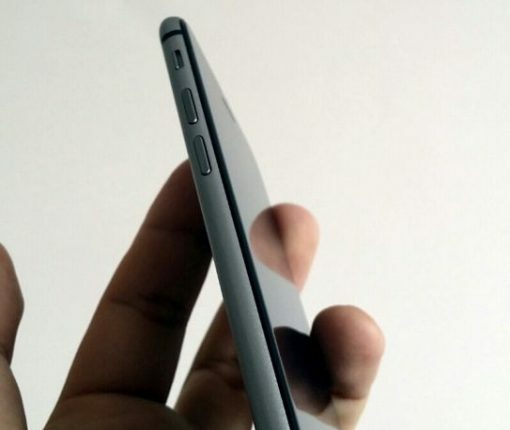 Joining today’s conversation about a flurry of announcements due September 9, journalist Brian Chen filed a report today with The New York Times claiming that Apple’s iPhone 6 will feature a so-called “one-handed mode” in an effort to address usability issues anticipated for a phablet-class device. 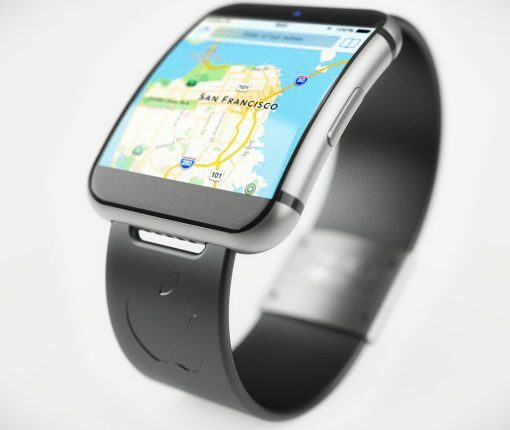 The lengthy story also takes a closer look at the rumored Apple wearable device which, according to Chen’s sources, will have NFC technology and feature a flexible display protected by a sapphire-made cover. The article corroborates the consensus out there that the iPhone 6 will come in 4.7 and 5.5-inch flavors, both featuring an on-board Near-Field Communications (NFC) chip to facilitate mobile payments. Adding up to the ongoing conversation about Apple’s purported wearable project dubbed by the media the ‘iWatch’, The Wall Street Journal affirmed Thursday that the fashionable gizmo will connect to the upcoming iPhone 6 via NFC and come in two sizes to appeal to both gender’s preferences. NFC stands for Near-Field Communication, which is a short-range wireless technology required for the handset’s rumored mobile payment functionality. In their write-up behind the paywall, reporters Lorrraine Luk, Daisuke Wakabayashi and Greg Bensinger quote people familiar with the matter as saying that both iWatch sizes feature a curved organic light-emitting diode screen, or OLED. 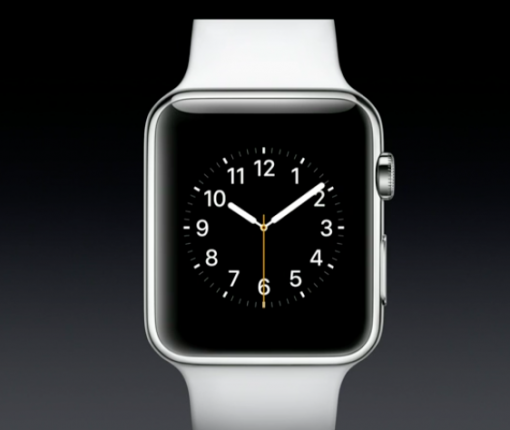 There will be sensors to track and monitor health and fitness data, as expected. According to the Journal, Apple’s use of NFC technology on the iWatch signals that it “sees a role for the device in digital payments”. According to a new report that KGI Securities analyst Ming-Chi Kuo released to clients Thursday morning, the rumored Apple wearable device that Re/code said would get announced next Tuesday alongside the iPhone 6 will come outfitted with a whopping eight gigabytes of storage, with its yet-unknown processor thought to pack in 512 MB of RAM (of the LPDDR3 variety), like the iPhone 4/4s. 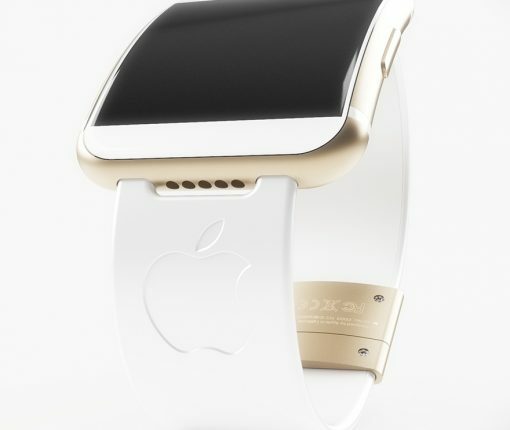 According to AppleInsider which has obtained a copy of the analyst report, the device should be available in a gold finish (”to add a luxury image to the product”) and aluminum variants (“as it has been widely used in Apple products”), as well as two sizes — one with a 1.3-inch screen and the other featuring a larger display measuring 1.5 inches diagonally — which matches up with previous reports calling for different iWatch sizes for men and woman.